I’ll make a better diagram this weekend and get back to you when it’s ready. 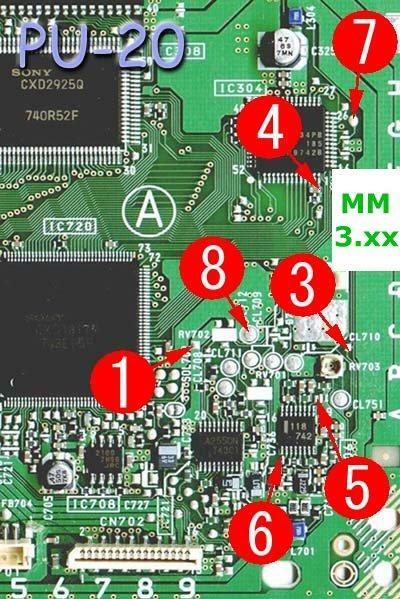 One thing to keep in mind is that the area in the diagram in between the labels for 1, 8, 3, 6, and 5 is electrically noisy and can cause problems with modchips. So if you placed your chip in that area, or ran most of your wires over that area, it could cause problems. 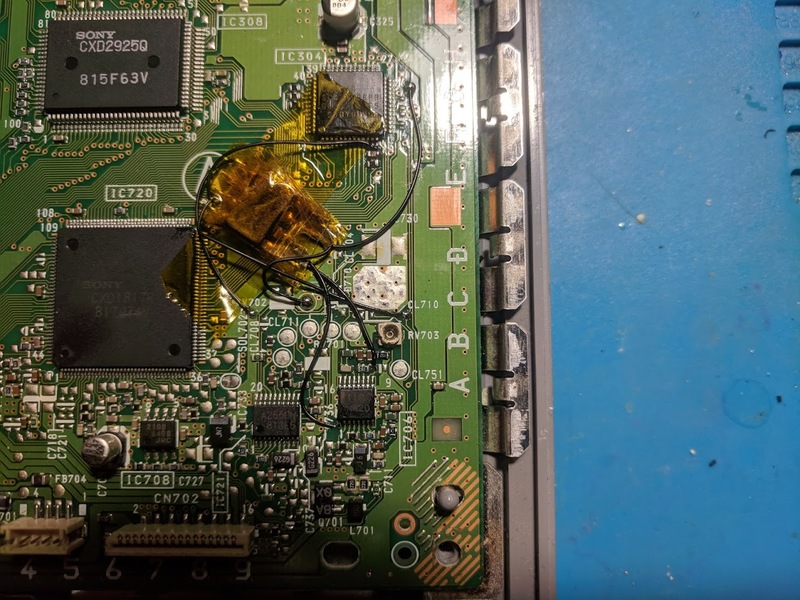 Hello, when connecting pin 6 I accidentally ripped up that trace from the pcb. can I fix this or are then any alternative pins? or is it dead. it still boots but doesn’t read any disc. I didn’t continue install the mm3. 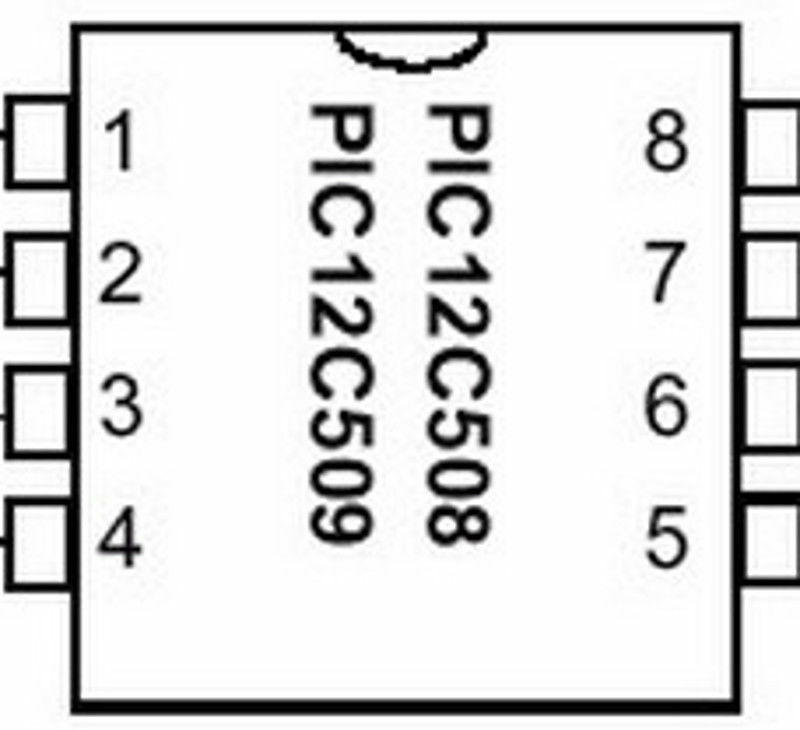 Pin 6 connects to the leg of that chip. If you broke the leg then there probably isn’t any easy way to get it working again (especially since it’s not reading discs). You’ll probably want to try another board.